Extra thumb for the great album cover ! Impressive album I am proud to be part of. I'm a fan of your job and "universe". See ya on the next track!!! great cover art...totaly spellbinding image. the first number opens up a world of darkness with a voice that puts me in mind of marian faithful.."broken english"
....and it just keeps getting better! nice album ,well conceived and put together. 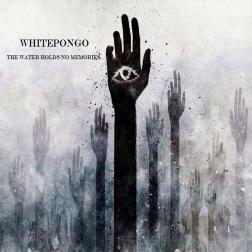 Been a fan of Whitepongo from the very first song I heard here on the loops. I am honored to be here on one of your tracks. There are so many colors Pongos not only White Pongo ! Check him on guitar in his Metal Band WorldOfWhy and yes, this guy is so creative, versatile and he shares that here !!! his attention of the details of his track, the way he build his song, makes me learn much. so glad to be part of this album! hat off to all musicians involved, you guys are awesome!